The Senate health care bill is terrifying for Americans with disabilities. For many, the GOP health care plan could weaken crucial protections—and sever the essential lifeline of Medicaid. U.S. Capitol Police remove a protester from in front of the office of Senate Majority Leader Mitch McConnell on Thursday. Last Thursday, Senate Republicans released the key legislative language for the Better Care Reconciliation Act, their Obamacare repeal bill. Both the product and the rushed partisan process that produced BCRA are stupendously unpopular. It’s opposed by nearly every patient and provider group, including the AARP, the American Medical Association, the American Hospital Association, the Arc, the American Cancer Society’s action network. Key Republican governors condemn the bill, too. The bill cuts Medicaid deeply. It is so highly regressive that its tax giveaway to the 400 wealthiest households in America exceeds the total bill for Affordable Care Act premium tax credits in the 20 smallest states. Senate Republicans spent years criticizing the high premiums, deductibles, and co-payments in ACA marketplaces. BCRA would make these worse. BCRA would have particularly tragic consequences for people living with disabilities and their loved ones. Some of these harms are obvious. Others are buried within the junk DNA of this 142-page bill. BCRA’s Medicaid provisions are the most severe—for all Americans, and certainly for those with disabilities. These include, but go beyond, repeal of the ACA, which expanded Medicaid. For starters, BCRA would cut and impose a per-capita block grant on Medicaid. That’s a fundamental and permanent retrenchment of American social insurance. Some of the worst features of the block grants are back-loaded, i.e. they won’t take place for several years. In part, this was done to obtain a more favorable Congressional Budget Office score. Some BCRA supporters want the worst consequences to unfold on someone else’s watch. Others console themselves that the Medicaid cuts might never happen. Block grants are designed to shift risk and expense to patients, providers, and states. Since Medicaid is already the leanest component of our health finance system, this is particularly irresponsible. It’s no accident that BCRA cuts health care to the most politically marginal Americans. We would never tell middle-class seniors: “Your Medicare now depends on the full faith and credit of Illinois.” But Republicans are willing to do it to Americans on Medicaid. Under BCRA, federal block grants would likely fail to keep up with the growing costs of medical care. By ending the entitlement to both individuals and states, BCRA creates a mechanical structure to impose further cuts. Block grants are intentionally designed to cut expenditures. Under even a generous block grant, states bear the full burden of each additional dollar spent, and they gain the full financial benefit of each dollar they cut. This fundamentally differs from the current system, in which the federal government bears at least half the costs and at least half of the resulting savings. Block grants also create plausible deniability for federal policymakers for specific cuts imposed by states, even as this structure provides plausible deniability to state governments who can blame the federal government for painful measures. These fiscal and political realities particularly terrify the disability community, which is a prime target for cuts. It has to be. Although most Medicaid recipients are low-income, relatively healthy people, most Medicaid dollars are spent on older people and the disabled. That’s where the money is. Within the disability community, block grants establish a poisonous zero-sum dynamic across different constituencies that have wildly varying needs and that command very different levels of resources. My own family receives intellectual disability services within Medicaid’s Home and Community Based Services program. Many medically fragile kids do the same, as articulated by Natalie Weaver in this poignant video. Such programs serve many middle-class families with politically potent connections and family stories. Less influential, cute, or cuddly constituencies may be elbowed aside within the Darwinian politics that block grants promote. These dangers are compounded because BCRA weakens federal oversights. BCRA does require states to offer a basic package of Medicaid services. Yet its 142 pages are notably silent regarding granular details that give these requirements real meaning. 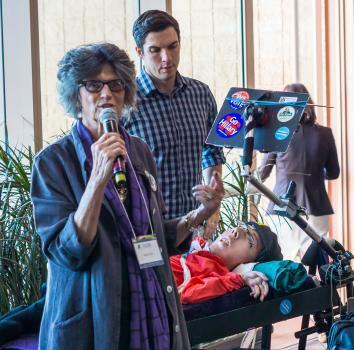 These details include how states managed eligibility requirements and waiting lists, how often Medicaid will allow a growing child with cerebral palsy to replace her wheelchair, Medicaid reimbursement levels to specialty physicians, and more. Block grants pressure states to nickel-and-dime patients and providers on each of these matters. As Bagley explains, this process offers a path to eliminate the ACA’s Essential Health Benefits, and provides a backdoor way to reinstate measures outlawed under ACA such as annual and lifetime caps in employer-based coverage. BCRA outlaws explicit discrimination against the disabled and people with preexisting conditions. Yet it allows states to waive or weaken the Essential Health Benefits. This creates dangerous incentives for insurers to design benefit packages that chase people with disabilities and chronic illnesses away. Then there’s the Medicaid expansion, the jewel of the ACA, which has been implemented well by Democratic and Republican governors across the country. Repealing the expansion would obviously hurt millions of low-income people. Less obviously, its repeal would harm millions of people with disabilities. Many Americans presume that people with disabilities receive coverage and services through formal disability program like Social Security Disability Insurance or Supplemental Security Income, and that ACA Medicaid expansion serves able-bodied adults who have more tenuous claims to public support. Conway’s critics quickly noted that many working poor people can’t get employer-based coverage. The critics were less quick to note another error in Conway’s comments: Millions of Americans with disabilities and chronic illness are insured through the Medicaid expansion and may well lose coverage with its repeal. Consider a 55-year-old with diabetes, poor vision, and a severed foot who earns $13,000 per year at her part-time job. Maybe she’s on disability. Probably not. Many low-income and young people with disabilities lack the work histories to collect SSDI. Someone who becomes disabled might turn to SSI, a means-tested program for low-income people. But SSI imposes a $2,000 cap on countable financial assets. The disability application process can take years. And when SSDI applicants are finally approved, they face a two-year waiting period before they can receive Medicare. Hundreds of thousands of people are caught in this waiting period. The Medicaid expansion is critical to many of these men and women who almost by definition have punishing medical bills. Not every disability qualifies for federal assistance, either. Opioid addiction is not a qualifying condition for federal disability. As Ohio Gov. John Kasich will tell you, the Medicaid expansion is the most common and powerful tool to support addiction care. To replace that, BCRA would include a $2 billion addiction treatment fund. This was probably low-balled to provide space for an ornamental concession to some of the moderate senators who are currently noncommittal in their support. That’s almost beside the point. Based on current data, this fund would be under-funded if it were 20 times the size, particularly given the reality that people with addiction disorders tend to have other medical problems, too. Analyzing the House’s version of BCRA, Harvard economist Richard Frank estimated that replacing ACA’s coverage opportunities for individuals with addiction disorders would require more like $183 billion over the next 10 years. Medicaid also offers offsetting advantages, too, particularly when it is compared to the cheap insurance typically available to poor people. Medicaid has a comprehensive benefit package, typically with no out-of-pocket costs and fewer administrative hassles than patients experience in many private plans. It is more closely integrated with school-based and other disability services. Medicaid also appears valuable for people who wish to work. A recent analysis found that individuals with disabilities in expansion states were significantly more likely to be employed. My brother-in-law experiences various medical challenges requiring periodic hospitalizations and other services. Illinois Medicaid has real problems. We are still very grateful for his Medicaid and would never for an instant enroll him in a private plan. Michael Phillips, right, and his mother, Karen Clay. Medicaid is certainly superior to the private coverage BCRA would provide. BCRA would provide less generous premium subsidies than ACA does. It would also end the cost-sharing reduction program to help low-income people with out-of-pocket costs. Under BCRA, poor people could buy an insurance plan for only 2 percent of their income. Unfortunately, as Andrew Sprung explains, such coverage would be terrible. It would come with $6,000 deductibles, narrower benefits, and other features that would be disastrous to any low-income person with serious health problems. All of these concerns have both angered and frightened the disability community. Last week, writer Michael Phillips and his mother Karen Clay appeared in an emotional MSNBC interview to describe their fears of President Trump and of BCRA passing. Phillips lives with a genetic condition that damages the motor neurons in his spinal cord. He relies on a ventilator to breathe. He relies on Medicaid personal care services to remain at his family home in Tampa, Florida. He’s right to worry. Florida has a particularly bad track record in disability. In 2013, the state ran afoul of the Justice Department by housing medically fragile and disabled young people in geriatric nursing facilities. That lawsuit was pursued during the Obama presidency, which raises the disability community’s final worry. BCRA grants governors extraordinary discretion, creates extraordinary incentives to cut services at the precise moment we can be least confident that the federal government will exercise appropriate oversight. Maybe someone in America believes that Attorney General Jeff Sessions will aggressively enforce the Americans with Disabilities Act and other civil rights protections. I have yet to meet that person. Health and Human Services Secretary Tom Price is the gatekeeper we would rely upon to monitor states’ operation of key services. Until 2016, he was a fringe conservative firebrand in health policy debate. Price was one of only 78 representatives who voted against mental health and addiction parity. He sponsored draconian legislation to render millions of people uninsured. Price’s department is responsible for effective implementation of the ACA, whose fragile marketplaces have been hurt by policy uncertainties sparked by the Trump election. Yet Price routinely releases strident and factually dubious statements that denigrate the ACA using partisan rhetoric more appropriate to a Georgia House race than an official communications of the United States government. 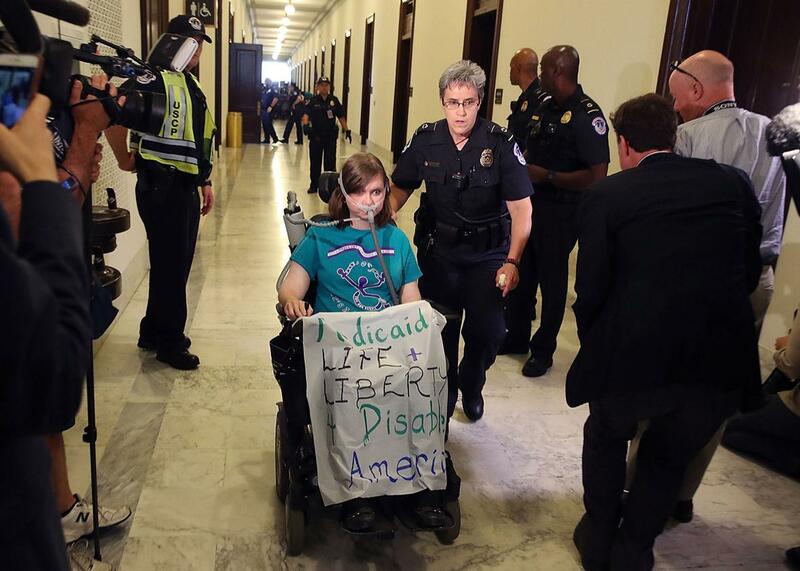 As BCRA’s key provisions were released, wheelchair-bound ADAPT disability activists made the front pages by getting themselves arrested outside Senate Majority Leader Mitch McConnell’s office protesting BCRA. And good for them. BCRA would be the most harmful step backward in decades—maybe ever—for the disability community.